Gene received a special gift for Father’s Day this year from his girls. It was a collection of 3 rings that fit together perfectly to make a full size ring. 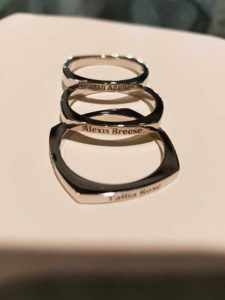 Each of the smaller rings represent Gene’s daughters, Alexis, Reagan, and Tallia. 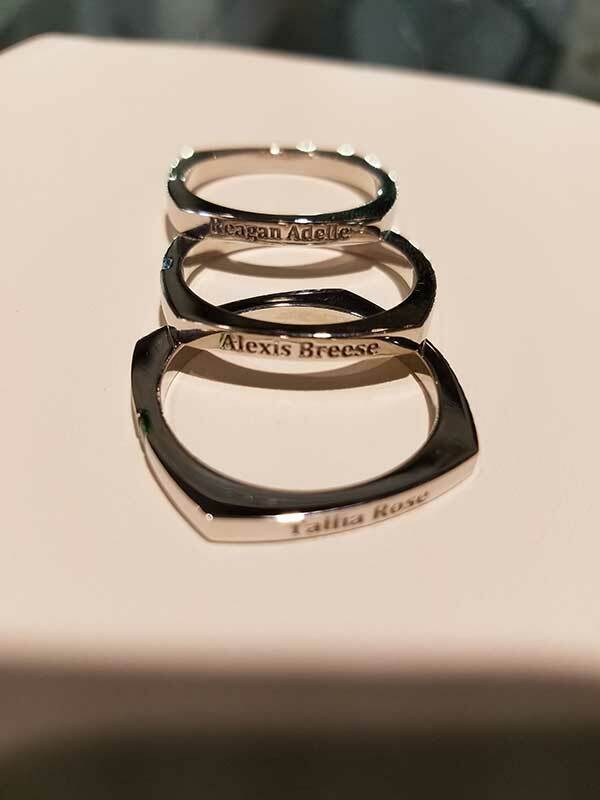 Each ring has the name, birthday and birthstone for each of the girls. They also have the birth weight and length inscribed on one of the faces. The fun thing about this present is that Gene gets to choose what is facing up each day. Sometimes he chooses the birth stones. Sometimes he chooses their names. 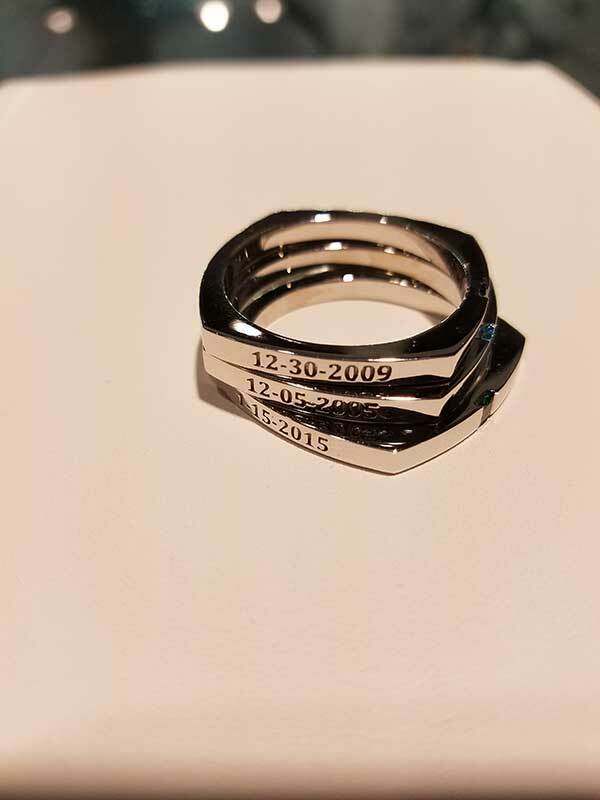 Karen designed the rings. The girls gave it to him on Fathers day at their home. They were super excited because each one got to see their name and birthday on the rings and they knew their daddy was going to love it. Gene’s plan is to give each girl their ring back at some point. It will be a pendant with special meaning because Gene will have worn them for years. 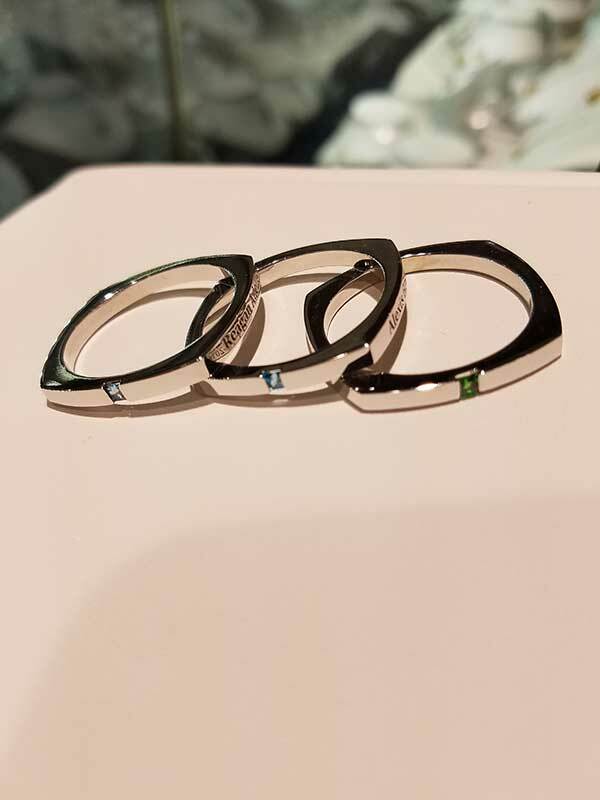 Why Do the Prices Vary So Dramatically for the “Same” Diamond?